Remember how I said we were hoping to be unpacked by Monday? Well, its Thursday and there are still boxes everywhere! One thing that has been slowing us down (besides two kids) is the fact that I decided to also refinish furniture in the middle of unpacking. Remember all those great pieces of furniture I got from my Granny? After weeks of sanding, priming, painting, glazing and sanding some more I finally finished the china cabinet and serving piece. I am now working on the dining room table and coffee table. Then there are still chairs after that. I haven't taken a good picture of the finished china cabinet so I will do a much more detailed post about how I did everything with better pictures on that soon. I cooked a very yummy meal last night that I kinda want to make again tonight because is was that good. 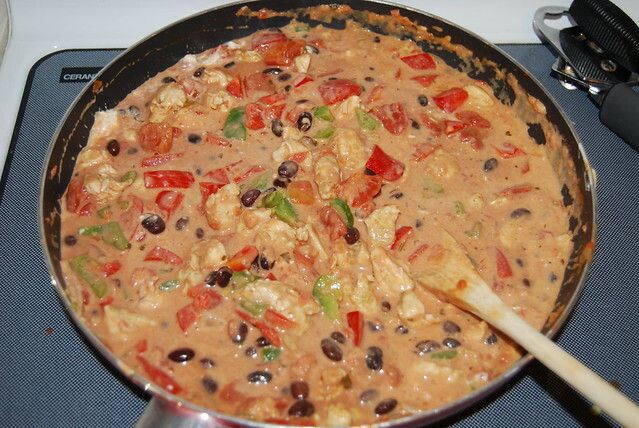 My friend Carrie is the one who sent me this recipe for Mexican Chicken Casserole. It actually ends up being cooked in a casserole but I never took a picture of that part. Oh Allison good luck! If it makes you feel any better, we moved into a new house 2 months ago and STILL have unpacked boxes. My fatal mistake was just putting them in a storage room and they are kind of out of sight, out of mind. You are so right that it is harder with 2 little "helpers." 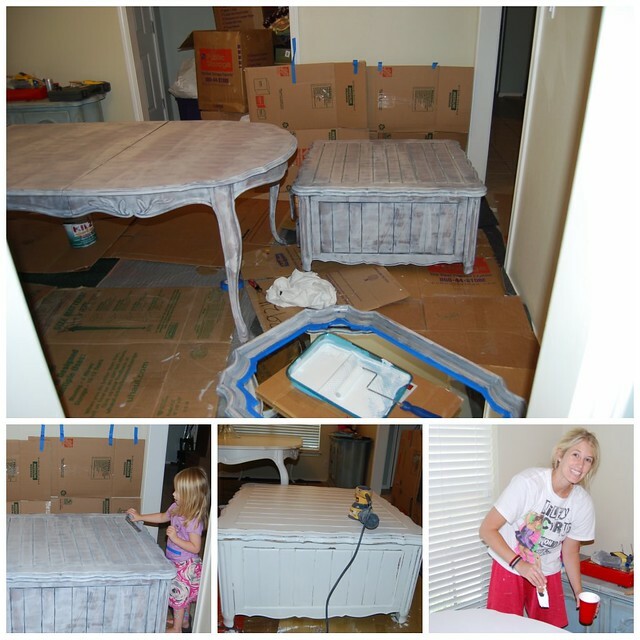 Can't believe you found the time/energy to re-do furniture in the midst of everything else!! Can't wait to see the finished furniture and you are totally inspiring me that you are actually cooking dinner in the midst of all that. I can't manage to cook anything during a normal, non-moving week. I need to step it up!